Don't miss out on this rare back unit in boutique concrete lowrise "Mondeo". This unit boasts brand new wide plank gray laminate flooring, new designer paint, open plan wit spacious kitchen, gas range, granite countertop and more. Two full baths and a good sized covered balcony with some mountain views. Very quiet as its at the back of the building far away from Hastings. 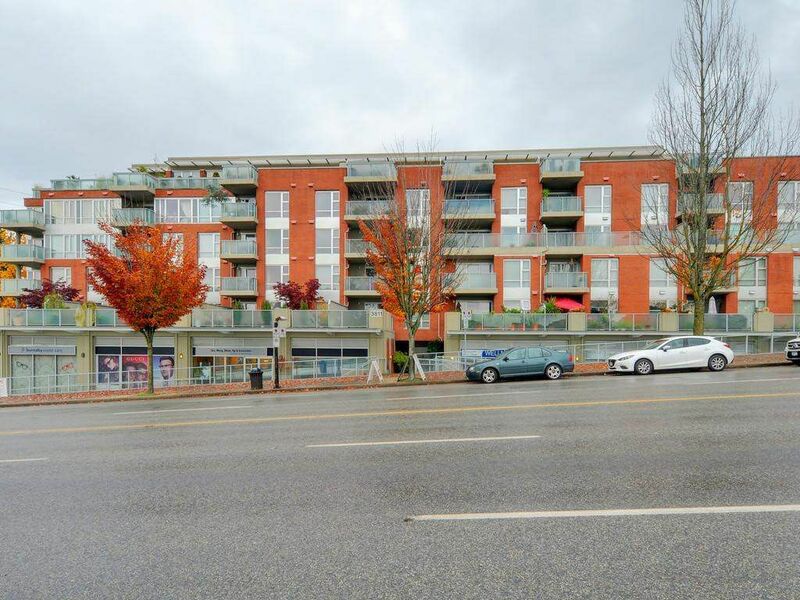 Ideal Vancouver Heights location, close to all amenities, shops, restaurants and easy for commuting to Downtown, the North Shore or easy highway access as well. Pets and Rentals allowed in this newer rain screened building. A terrific investment property! Open House Saturday November 5th, 1-3.